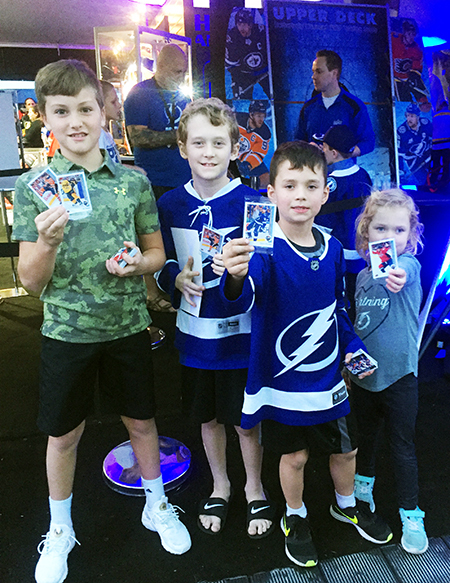 For the 2018 NHL® All-Star Fan Fair in Tampa, Florida, Upper Deck brought in two of the company’s Certified Diamond Dealers to provide those in attendance with a variety of exciting trading card offerings. 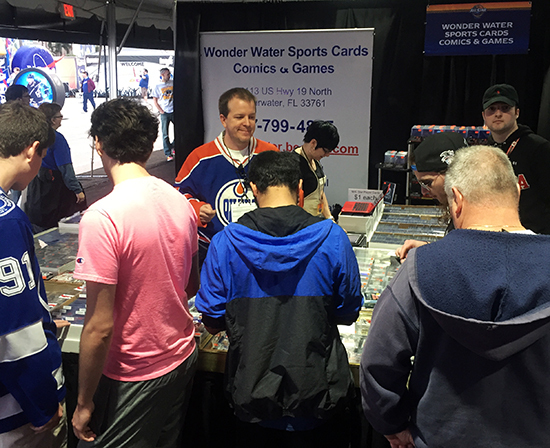 Both Wonder Water Sports and The Bullpen were slammed all weekend as many hockey fans added to their collections or got started in the hobby. 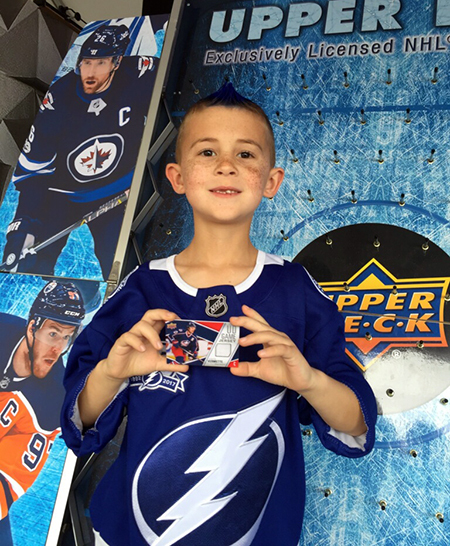 Clearly, interest in Upper Deck NHL® cards is at an all-time high! 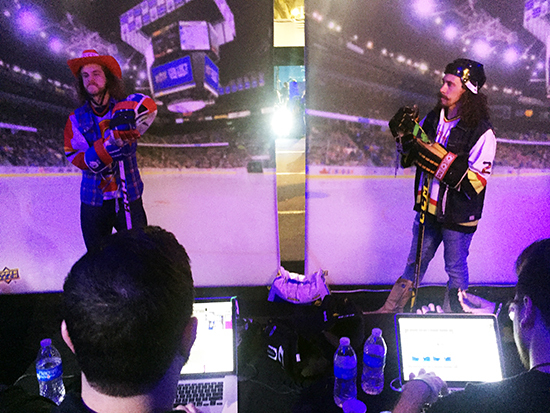 Parry and the Wonder Water crew were busy supplying NHL fans with collectibles all weekend long! 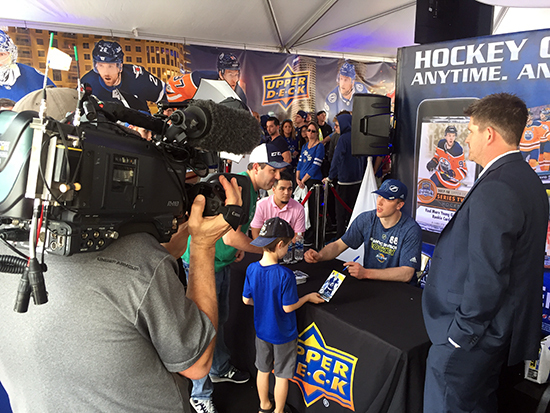 Mitch from the Bullpen had fans packing in to get a hold of his NHL cards & collectibles at Fan Fair! 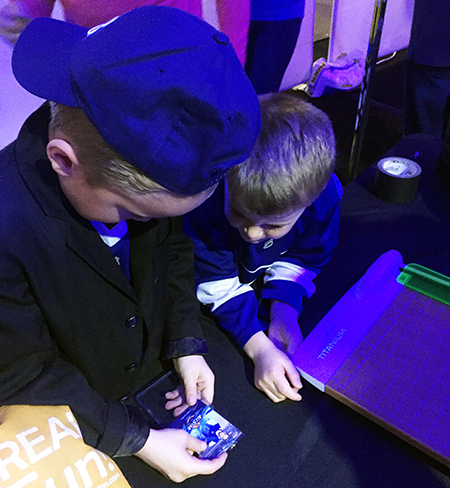 Upper Deck hosted a variety of activities that fans could take part in by purchasing new Upper Deck NHL® packs from the dealers in attendance. 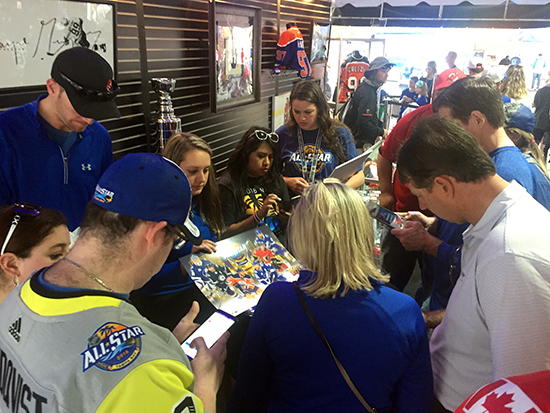 Puck-O is always a huge hit with participants as you can drop a puck to score great prizes including exclusive All-Star cards & collectibles as well as jersey cards and other great insert cards! 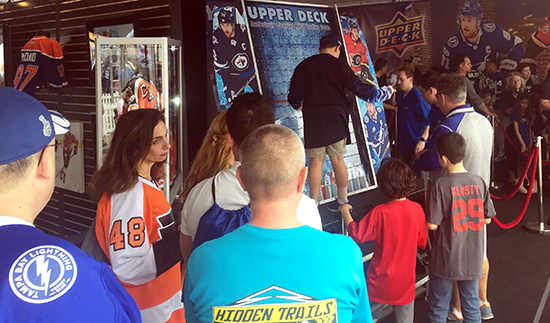 There was never a shortage of fans eager to drop the puck at Upper Deck’s Puck-O game! It was quite a thrill to score a jersey card or other cool collectibles! 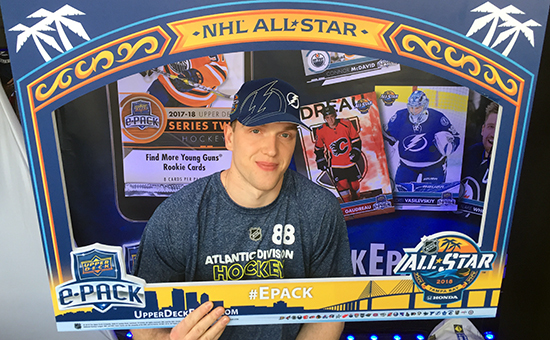 Upper Deck added a new element to the company’s Personalized Trading Card Station (P-Card) for NHL® All-Star where participants could add their signature to the card. 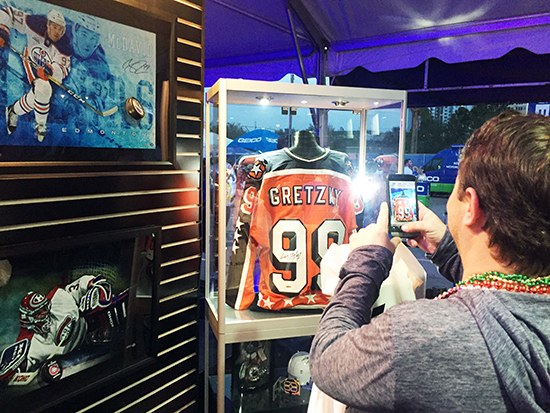 Fans were thrilled to add these one-of-a-kind items to their collections. 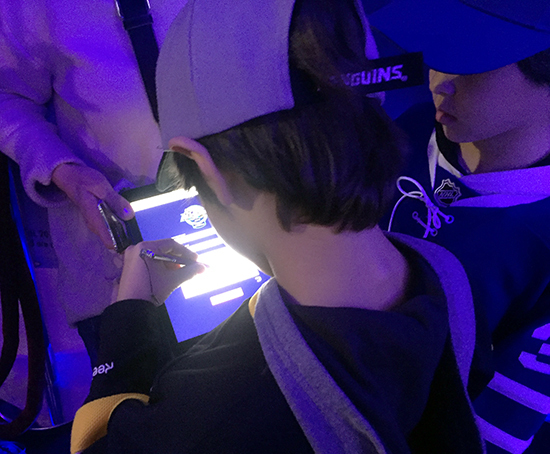 Fans could add their digital signature to cards using a tablet and redo them until they were just right! Then they had their photos taken by UD staff. You have to put a keepsake like this in a holder for sure! Then you can show them off! 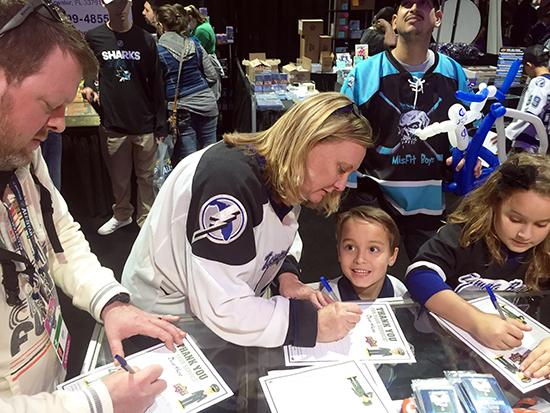 One of the fun parts of the weekend came when the On The Bench Crew came by to get their cards done and spent some time engaging fans at the booth! 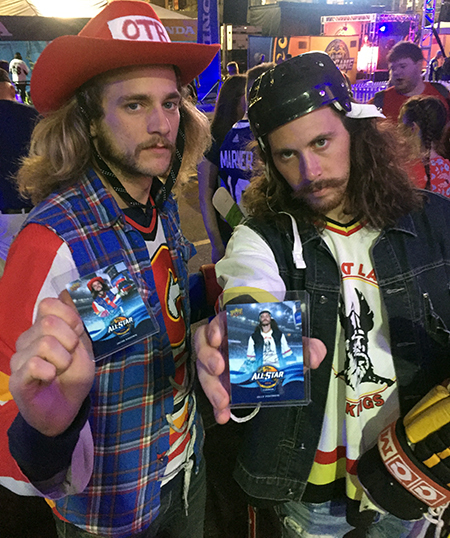 Jacob & Olly were smiling on the inside when they got their first Upper Deck cards made! Kids loved the On The Bench Crew! 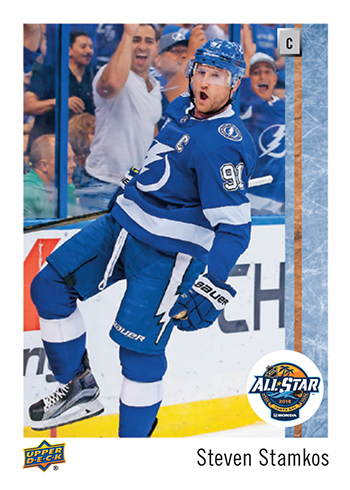 On display were a variety of Upper Deck Authenticated signed memorabilia items of top NHL® stars and legends (available at UpperDeckStore.com). These became an instant photo opportunity for fans with many talking about how they would love to own innovative authentic collectibles like these. 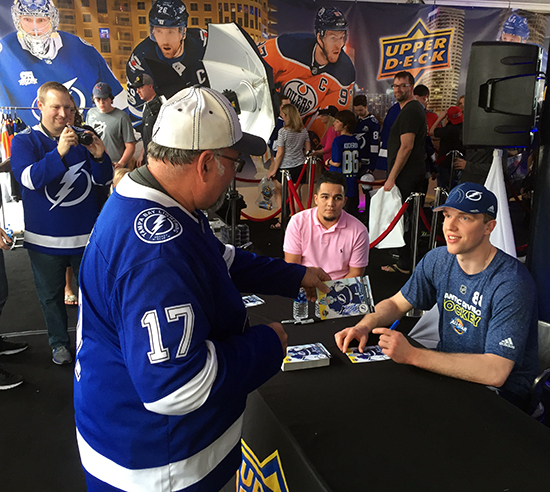 Upper Deck is always looking to bring fans closer to the game, and what better way to do that than by conducting a FREE athlete signing with Tampa Bay’s All-Star Goalie; Andrei Vasilevskiy? 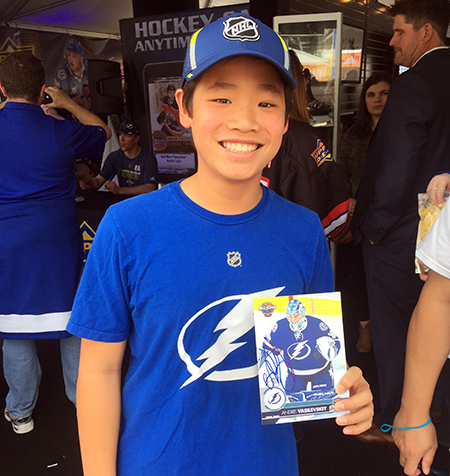 Puck fans were thrilled to meet this young star and get an autograph from him courtesy of Upper Deck. Hundreds came through the line during the signing session. 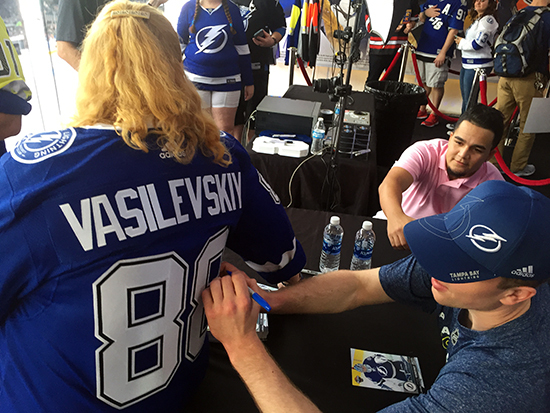 Upper Deck conducted a bevy of other signings as well over the weekend with Andrei Vasilevskiy and top stars like Henrik Lundqvist, Nikita Kucherov, Aleksander Barkov, Brent Burns and Alex Ovechkin. 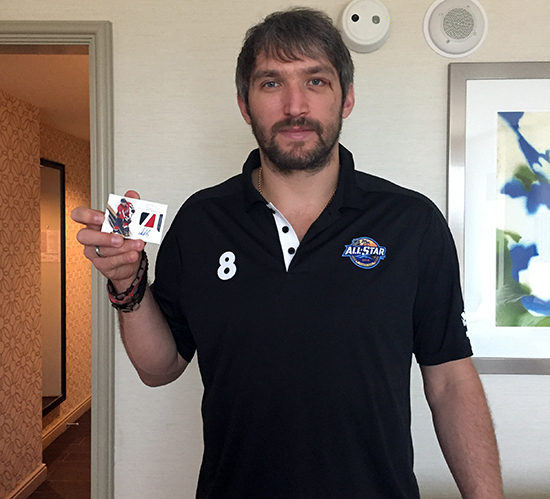 Alexander Ovechkin shows off a hard-signed autograph card he just lent his signature to. 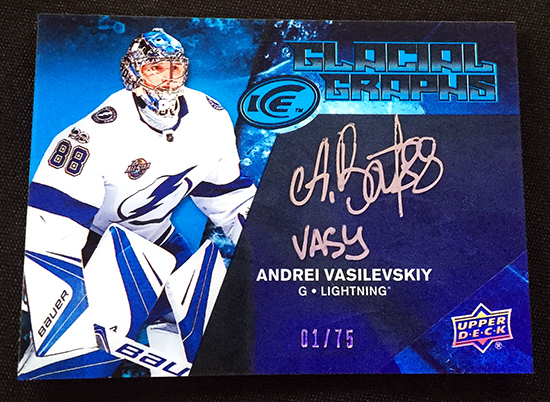 Vasilevskiy was adding inscriptions to his Upper Deck ICE cards. 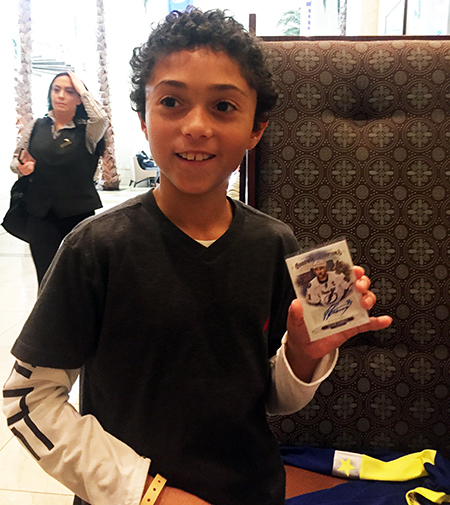 “King” Henrik shows off a sweet autographed patch card Rangers fans will be on the hunt for. 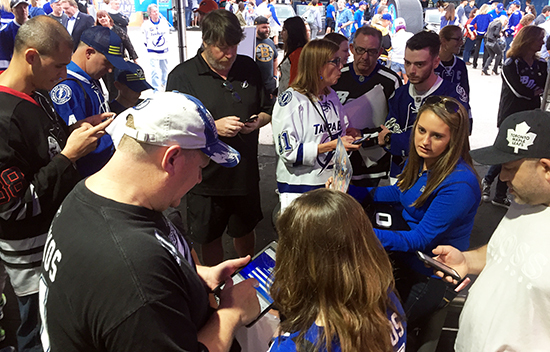 Upper Deck had an unprecedented response to the company’s patent pending e-Pack platform at the 2018 NHL® Fan Fair. Fans loved the fact they could buy, collect and trade real physical cards and digital cards on the platform with collectors around the world. 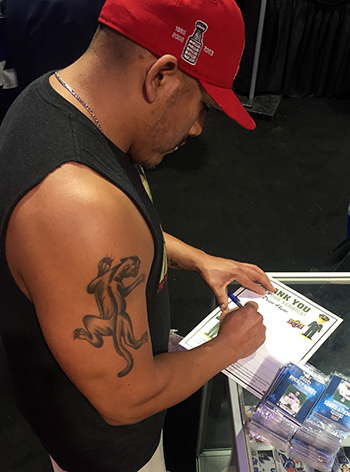 People were signing up for the program all weekend long, which should increase the population of collectors participating significantly. 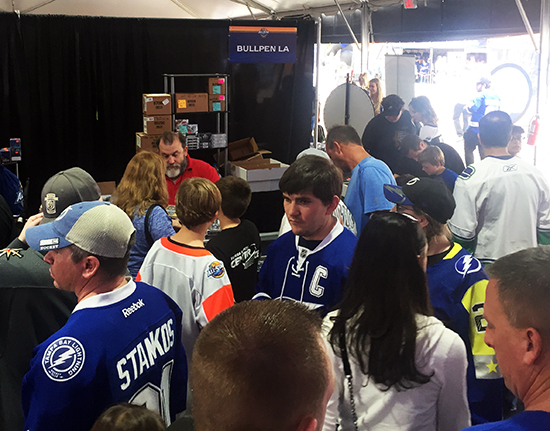 People packed in at the Upper Deck booth to sign up for e-Pack! There was a crowd all weekend long for sign-ups as staff shared why the platform is so exciting! Upper Deck has always been the collector’s choice, but the company would like to be the military’s choice as well. 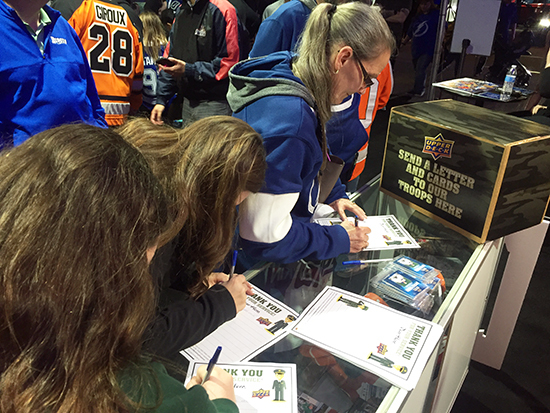 During the weekend, Upper Deck had fans write letters to the troops. Upper Deck will add cards to those letters and have them shipped to the troops in care packages through Operation Gratitude. 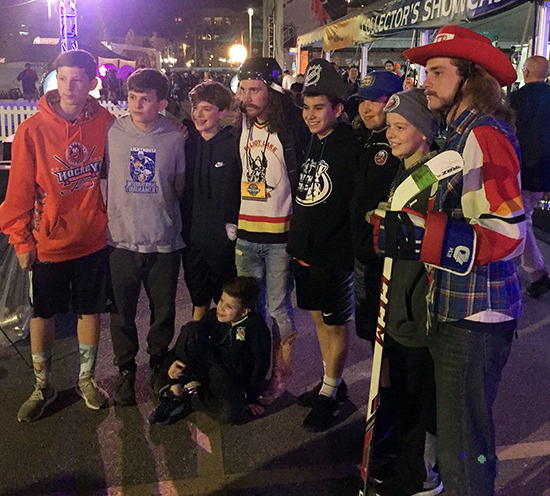 Even a Hockey Hall-of-Famer took part in the program. 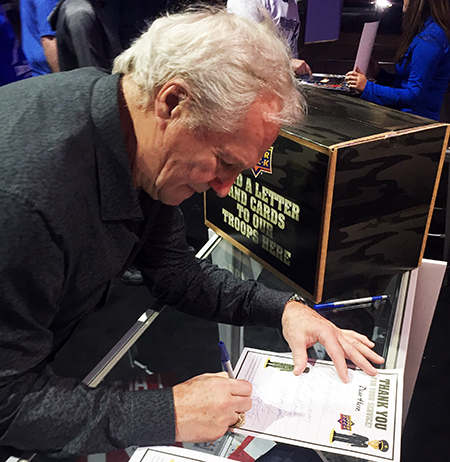 Darryl Sittler stopped by and was happy to pen a letter that will be sent to a member of the military. Stick tap to you Darryl! 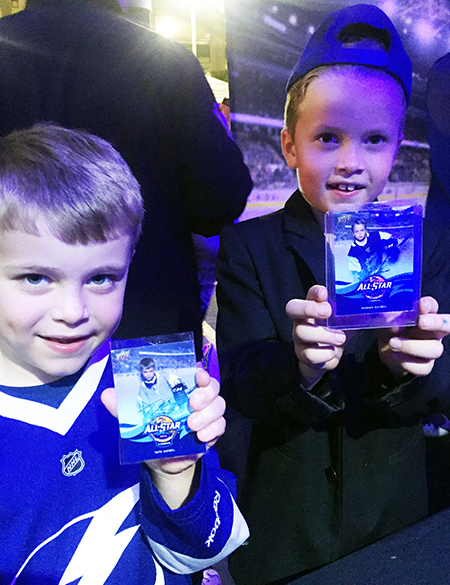 Upper Deck distributed hundreds of packs with guides on how to collect to kids in attendance. 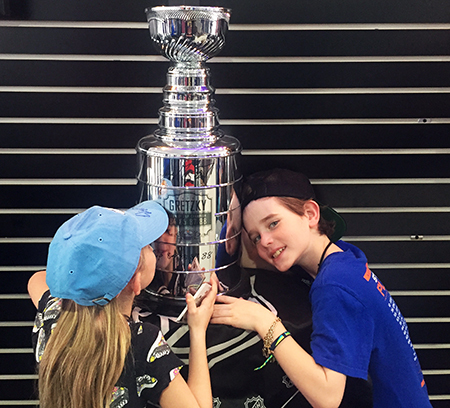 And speaking of kids, check out some of the smiling faces Upper Deck was able to provide youngsters throughout the weekend! 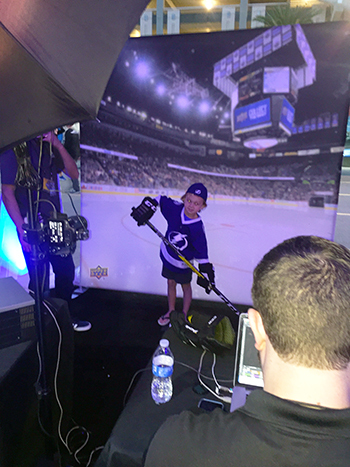 One of the highlights was when Upper Deck and the NHL® partnered to bring a young hockey fan to the All-Star Media Day. 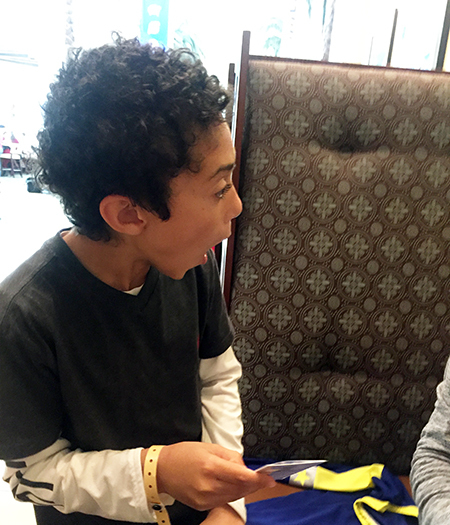 Jaxson Shandler had an incredible experience to say the least. 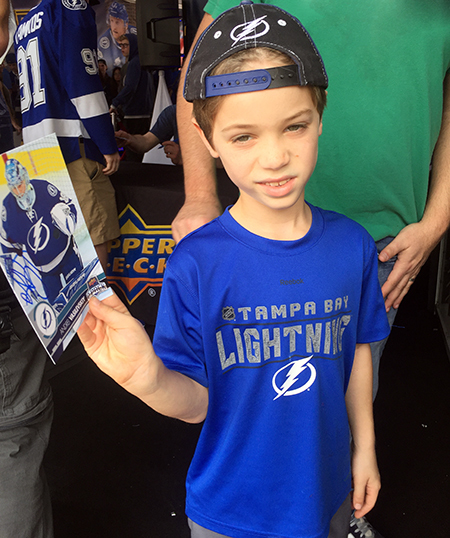 Afterwards, Upper Deck surprised him with an autograph card of his favorite player; Steven Stamkos. His response was priceless! 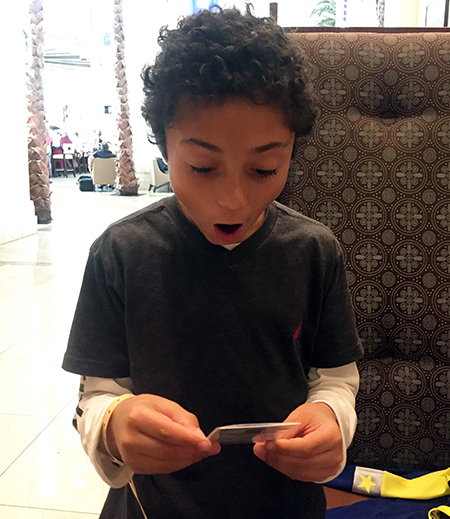 That magic moment you get an autograph card of your favorite player! 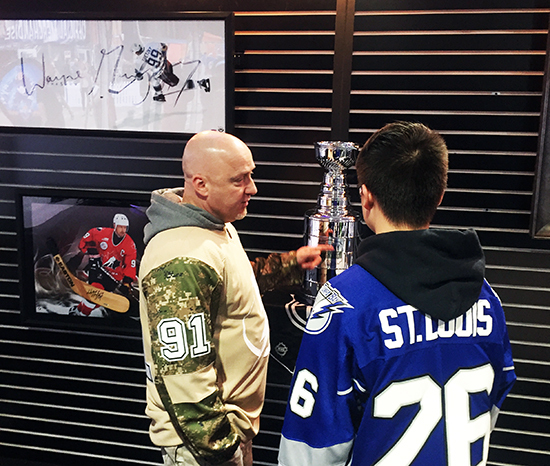 And for everyone who attended the NHL® All-Star Game on Sunday, they left with a unique collectible. 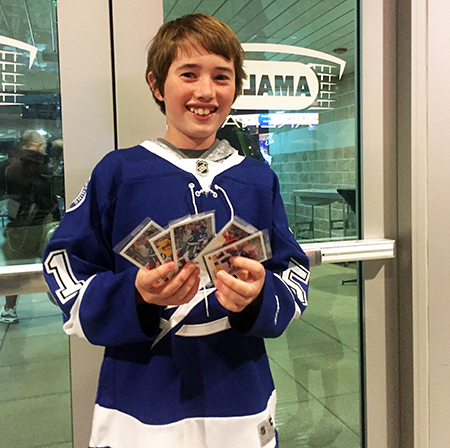 Upper Deck produced a limited-amount of All-Star packs, and fans were thrilled to take them home. 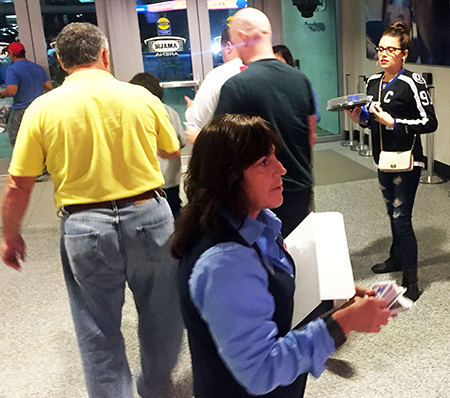 The 12-card set had fans trading at the exits to try to complete their sets. 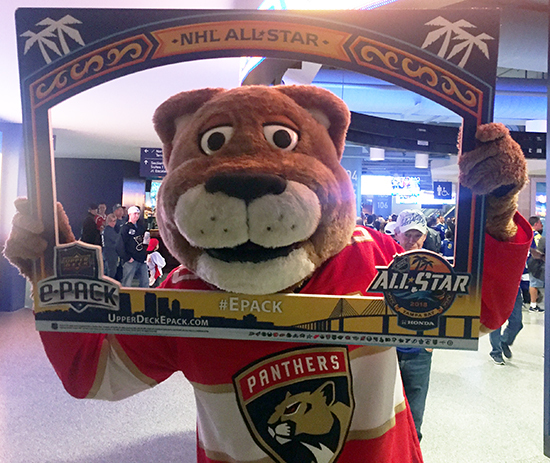 It was an incredible weekend and Upper Deck can’t wait to bring the fun to San Jose for the 2019 NHL® All-Star Game next season! 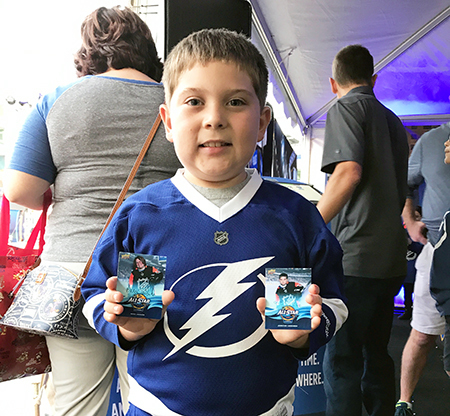 We had a great time at your booth and my son is now hooked on card collecting! Thank you Upper Deck!